HelloFax has very conveniently removed the need to own a physical fax machine by removing the paper. So, even if you can't be free of faxes at least, you can be free from the struggles of using a fax machine. Faxes can be sent and received online with the help of HelloFax so, it is a win for everyone. It has reduced you the hassle of waiting endless hours for fax to arrive, which includes the process of confirming whether it was sent, or not. The fax now directly comes to the inbox of the recipient, and outgoing faxes are sent online. Everything is done from the comfort of your computers. It is convenient for everyone because of the simple procedure and the fact that not much has to be done. The faxes can be sent endlessly to the same number. This means, you transfer your numbers to us and can start receiving electronic faxes without the risk of losing them. 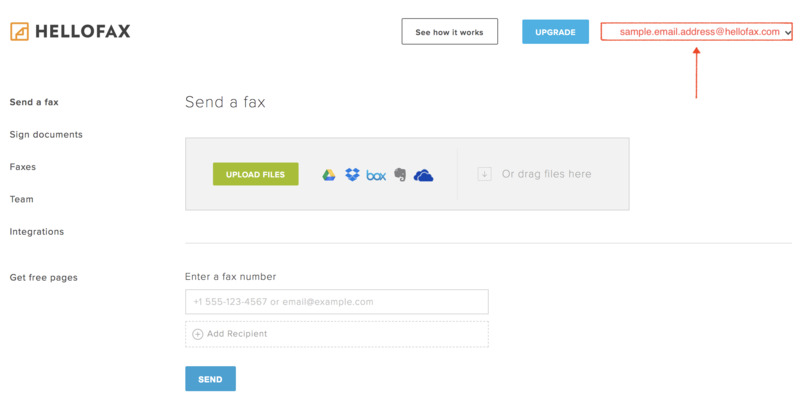 New customers should navigate to www.hellofax.com and click the 'Get Started' button. 1. Users will then need to enter an email address where an activation link will be sent. 2. Users should then navigate to their email and click the 'Verify your email address' button in the HelloFax Account Activation email. 3. Users must then create a password that they will use to log-in to their account in the future. sender email contains noreply@mail.hellofax.com) and/or subject which contains "HelloFax - Incoming fax from". Keep your faxes saved for backup and archiving purposes, you need to save faxes on a disk. 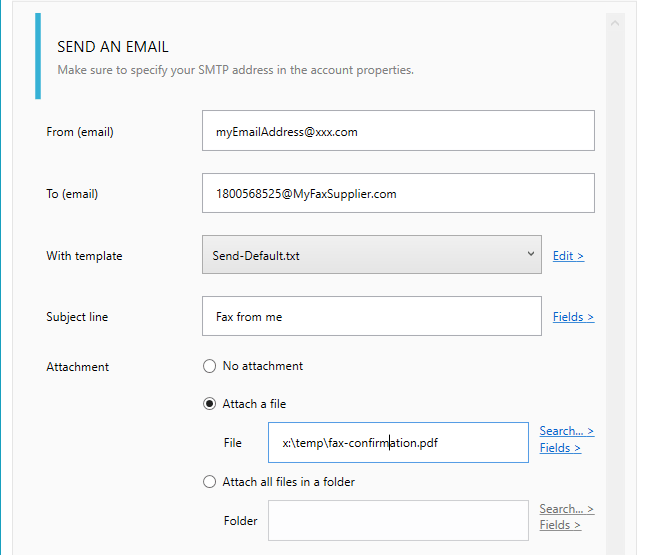 With Automatic Email Manager, it becomes really easy because after the print action you can 'save attachment' and save it in a specific location. Read how to save the file on disk ». Most times, you have to send a fax as confirmation that you have received a specific email. You can easily send your fax in a PDF format through HelloFax digital fax account. In the box for 'TO:', you have to write the fax number. The fax number is written like this: for instance, if you are sending the fax to a U.S. number, type 1, then the ten-digit fax number, as follows: 19992345678@hellofax.com. Note: Email should be sent from the HelloFax email account only. Here is how you reply to fax: Choose the option that requires to reply to an email and attach the fax file attachment. Now every time a fax is received, it will be sent to the number you have provided. You can contact us for more information on this setting ».